Hungary: Wolf Kati – What About My Dreams? 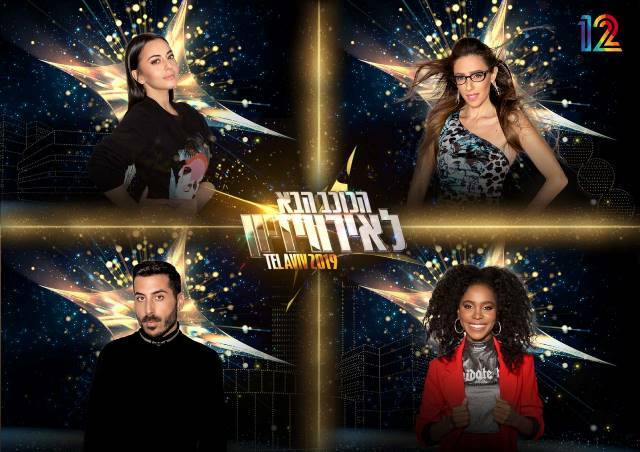 Serbia – The national broadcaster of Serbia, RTS, has today released the 24 songs taking part in Beovizija 2019. You can listen to them all online. The Beovizija 2019 semi-final 1 will be held on 27th February and semi-final 2 the day after. The grand final will take place on 3rd of March. ← Romania: Second Semi-Final Tonight! Dated but very familar lineup. P.S. I have high hopes for Srbuk! She has to rise to the occasion. I have always wondered what ‘dated’ means. For me there is good, average and bad music, and they don’t come with a best before date. Is Mozart dated? For me, a song is “dated” if it follows past trends but not in an intentional way to sound retro or vintage. Like a song in 2019 that sounds like it’s from 2005 without intended to pay tribute to music from that era is dated, which is not a good thing. If I follow this definition, I love many dated songs. :) I think that the concept of progress and hence dated was invented to keep the industries going. I guess it’s based on technology. Regardless of what genre it is, music from 2019 sounds relevant and current because of it uses the recording technology that is available to use in 2019. We didn’t have the same technology in the 90s, 80s, 70s, etc., so older songs can be easily definable. This is especially prevalent in Eurovision because not all countries have a giant modern music industry, and many resort to older music-making technology because more state-of-the-art technology is not available. This makes the songs sound as if they were from an older period of time, even though they are not, and they are also not intending to sound this way, it’s simply just because of the technology they have available to them. I think it’s the same thing with film. As time went on, we have more technology when it comes to movie-making, whether that be cameras, special effects, or post-production. If you watch a movie that has special effects that look like they’re from the 1970s (without trying to be campy and pay tribute to this era), it will reflect poorly on the movie because we have so much more available now that we’ve become accustomed to to make our movies more visually appealing. So this is my take on “dated”. I guess a dated song can still have merits in other fields, but for me it makes it sound out-of-touch, unprofessional, and sloppy when a song is dated. Then I’d advise you this single from old and bad Aram boy . P.s. I remember you supporting her “Ete karogh es”. I like that song and the video very much. And what about her Etsc entry “Boat” ? Did you liked that back then? Do you remember it? I like that one as well. This line has a sense . She should, she was in Slovenia got talent and in EMA 2015 if you remember, and was good live..
Am enjoying this NF so far, but I have to stop now. I can’t listen tonight, I’ve decided to do one or two related work first, and then probably sleep. I’ll try to listen to them wednesday night, that should do it! South Slavic languages sound pleasant to my ears. I feel like understanding them when it’s only 1/3 that I can make sense of. Good luck, Srbija! Which Norwegian act do you think might win? Unless the stage presentation is wretched, Keiino is winning. And I think its’ the first overall winner vibes I get. Norway has good odds right now so thought I’d put a small amount right now. I like his song too but I think its’ evident that if the live is good, it will gobble up the televote and the modern EDM flavour will be respected by the jury. But perhaps I will change my mind when watching the live performance. Off topic: I’ve just read that Conan Osíris is going for a David Bowie in the 70s makeup style. I wonder if he he is aware of the buzz his song has created online. I do like the song, but her live vocals are not top notch. She has a strong stage presence and her performance reminded me of Madonna in the 80s, which is a good thing, imo. :P “Za tebe babo, za tebe baooooooo” She even replied me on my instagram account . I was so happy. I think fanbase will support her massively. Hmmm.. I dunno I really like his composition, but lyrics Hmmm I dunno, I’m confused, I think he will be very good live. But I doubt it will be that good live..
Is she a good live singer? Her song is very interesting. Thanks; I remember her now. This will be very interesting. I liked that you mentioned RTS posted playlist, but i don’t like they don’t allow comments under videos, just like last year, now we can’t see reactions of fans and other ppl..
Green is the new pink. Someone forgot to send her the memo. All in all, this an interesting NF; the songs do not sound hollow and vapid, which is a big plus. I like several songs, but I do not have a clear favourite. Waiting for the lives. Good luck, Serbia! Good pedigree. :) ‘Kruna’ is a decent ballad, but I much prefer ‘Viktorija’ at this point. Is it only Raiven available online? I like it but she has to do smth memorable on stage to draw attention. Fingers crossed! Check on that channel, majority others from ema 2019 are there..
Off-topic: I just randomly found this interview with Hatari. If Iceland should ever decide to send them to Eurovision, they’d be their biggest troll act since Silvia Night. I haven’t listened to them all thoroughly but my favorite right now is Sashka Janx. I really like Nema suza too but it is more of a safe option I guess but a really pretty balkan ballad. On Ukraine: I really like Maruv’s song and performance but not really on the vocals. As of right now I’m team Kazka but I’m hoping they really nail it live. No Armenia, Azerbaijan, Georgia, Macedonia, Poland, The Netherlands, Belgium, Austria? Will we have the Israeli entry too tonight? Are the competing songs available? This Shefika or smth is very controversial, she is Jewish woman who presents as Arabic singer..I hope that won’t provoke more problems..it is that woman with glasses..
OMG! I watched Shefita live!She attended a music festival 2 years ago in Bursa,Turkey. I listened to the Serbian line-up yesterday and i liked it.It’s mostly pleasant mainstream pop and the well known Balkan ballads.Much better than last year. I only listened to them once.I liked Dunja,Nevena,Sashka Janx,Tamara,Moja bol and some others i can’t remember atm. Some ppl think that Dženan Lončarević – “Nema suza” is similar to “Bistra voda” from Bosnia and Herzegovina in 2009.. The Eurovision Times is a daily updated fan blog about the Eurovision Song Contest and the whole world that surrounds it. It features daily news, interviews, editorials, analysis, updates on former participants and when the time comes, information on the upcoming contest (tickets, dates, videos). The blog focuses a lot on national finals and the contest's history. Rumors and gossips are discussed at length, as any good fan site, but this is a place with a sense of community, where people's opinions are valued and where conversation and debate are welcomed most of all! Hulluna is the main administrator of Eurovision Times and first editor-in-chief! Sekhmet Morgan is the second overall administrator and editor-in-chief! TEKO 2019: Vote in Group 14! TEKO 2019: Vote in Group 13! Down below, you can chose to subscribe to follow us by email, twitter or facebook! Be part of our community, join!